Pulse is an instrumental trip (with the exception of a few vocal improvisations) that artfully weaves its rhythms and melodies through a fusion of funk, R&B, and jazz. LT's debut album exists somewhere between Meshell N'degeocello and Prince (when he's on a jazz tangent), with the vocal replaced by a smart, crisply distorted lead guitar. Yes, it's a guitar-driven instrumental album. But this is no up-and-coming prodigy's self-gratifying display of technique. On the contrary, LT keeps firm hold of her artistic reigns (she produces the album, in addition to playing guitar and handling the programming) and opts to create songs rather than merely show off her skills. At times she chooses to remain almost too conservative in her playing, but given the dark history of over-indulgent solo guitarist albums, erring on the side of caution is a welcomed change. Much of Pulse consists of up-tempo funk, but "No Smoking," stands out as the album's first slower groove. Its soothing, exploratory arrangement is produced with clarity that heightens the listener's awareness of each instrument's nuances and emotion. Also striking in Pulse's production is LT's instinctive programming. Artists often overuse drum machines, leaving their recordings sounding lifeless and mechanized. LT seems to program intuitively in some cases even using MIDI alongside live percussionists. 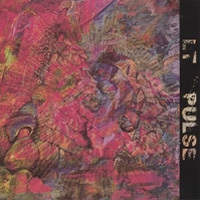 While she impresses with her own musical and technical multi-tasking, Pulse also benefits from appearances by several special guests, among them: Grammy winning percussionist Luis Conte (Madonna, Santana, Clapton, Phil Collins), drummer Darryl Woolfolk (K-Ci & JoJo) and Jeff Babko (Julio Iglesias) on keys. In the past, LT has worn the hat of a guitarist, keyboardist, engineer and producer. But with Pulse, she adds to her resume the titles of Recording Artist and Songwriter. She says the album began as "an exercise to create songs[s] that last long after the guitar solo is over." After a thorough listen, it's evident that LT achieved her goal.